From clothing and shoes to bikes, wheels and power meters, Fit Werx carries a broad array of products to meet the needs of a wide array of riders and triathletes. Click within to read reviews, manufacturer profiles and buyer’s guides for bikes, wheels, power meters and other categories. From cork tape in fashion colors, mirrors & lights, small parts, replacement cleats & covers, tool bags, lubricants, etc. We have it. 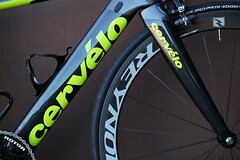 HED, Profile Design, Redshift Sports, Vision Tech and Zipp. We have them in-stock and the information on how each fits and works. At Fit Werx, our primary bike brands are Alchemy Bicycles, Cervelo Cycles, Eddy Merckx Cycles, Felt Bicycles, Guru Cycles, Gunnar, Independent Fabrication, K.Bedford Customs, Moots Cycles, Parlee Cycles, Trek Bicycles and Waterford. We are also authorized dealers of Surly, Cyfac, Passoni, Ellsworth, Look Cycles, and others. Visit our bike reviews and manufacturer profile pages to learn more about the brands we carry (and why) as well as how to buy the right bike the first time. Castelli and Hincapie are our main clothing lines, including our Fit Werx Custom clothing and accessories. We also have shorts from Terry and gloves, knee warmers, arm warmers, socks and more from brands like Pearl Izumi & Defeet. We stock a wide range of Shimano, SRAM, FSA and Campagnolo components and build kits. 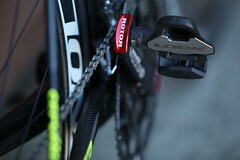 Bontrager, Cateye, Garmin, Polar, PowerTap. Enve, Ritchey, Rock Shox, Fox, Wound Up. Enve, FSA, Ritchey, Salsa, 3T, Zipp. Cane Creek, Chris King. What else is there? Bell, Kask, Giro, Louis Garneau Aero, Rudy Aero, Spiuk Aero. 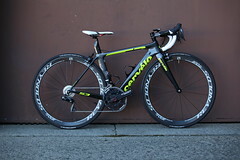 Arundel, Cobb, Elite, Profile Design, X-Lab, Specialized, Zipp. Osmo, Skratch, Accelerade, Endurox, Clif Bar, PowerBar, Hammer Nutrition. 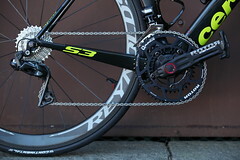 Look, Mavic, Shimano, Speedplay and Time. All in-stock. 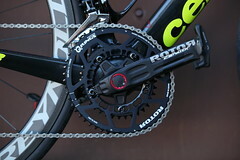 Garmin, PowerTap, Quarq, SRM, Stages. Bont (MA), Mavic, Sidi, Shimano, Specialized (VT), Vittoria (MA/NJ) and D2 Custom. Including hard to find sizes and widths. Cobb Cycling, Fizik, ISM, Profile Design, San Marco, Serfas, Selle Italia, SMP, Specialized, Terry, and WTB. Easton, Enve, FSA, Moots Titanium, Profile Design, Ritchey, 3T and Thomson. BKool, CompuTrainer, CycleOps, Kreitler Rollers, Kurt Kinetic, Wahoo. Click the link to read our comparison of the best trainers under $350. Deda, Enve, ITM, Moots Titanium, Profile Design, Ritchey, Thomson, 3T, Zipp. Over 200 stems in-stock. All rises and reaches. Continental, Hutchinson (tubeless), Mavic, Michelin, Specialized, Vittoria, Vredstein, Zipp, Schwalbe and others. Crank Bros, Park Tools, Pedros Tools and more. We are a Trek Travel dealer & have relationships with other travel companies as well. AirCaddy, SciCon, TriAll3 and Thule are our primary lines. In addition to custom building Rider Matched Wheels, Fit Werx carries top wheels from Bontrager, Corima, Easton, ENVE, HED, Industry Nine, Lightweight, Mavic, Reynolds, Zipp, and others. Contact us to start dialoguing about building or selecting your new wheels.